A community reeling from the brutal killing of a first-grader, allegedly at the hands of his mother, will be saying a final farewell Wednesday evening. 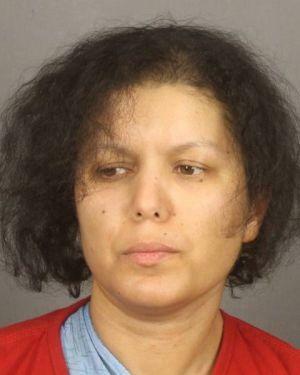 Authorities say Hanane Mouhib used a large kitchen knife to sever her child's head last week at their home in the town of Sweden, just west of Rochester. She has pleaded not guilty. Mouhib had recently sought mental health assistance and then was released from a hospital. Seaking with the media Tuesday, Monroe County Executive Cheryl Dinolfo said she requested an immediate review of any potential involvement the county may have had in the matter, after learning of the child's death. County Human Services Commissioner Corinda Crossdale completed that initial review and shared the findings with Dinolfo, but legally that information is not available to the public. "I want you to know that that’s frustrating to me, and I know that it’s frustrating to you," said Dinolfo. "However I am here today in the full interest of transparency and accountability to share what we can under the law." While few details were shared, Crossdale did confirm that there were no reports of violence against children by the mother, 36-year old Hanane Mouhib, prior to the incident. Mouhib was charged with second degree murder in the death of Cardenas. 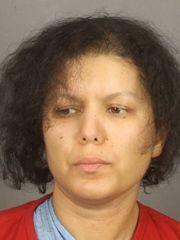 Hanane Mouhib has been charged in the death of her 7-year-old son, Abraham Cardenas. Dinolfo also ordered a comprehensive expert review of the county's Family Assistance Response or FAR program, which focuses on cases that don’t quite rise to the level of abuse, determined by a case worker. The county says plans to review this program were already being discussed prior to this incident. While the review is being conducted, the Child Protective Services System will handle all FAR cases. Deputy County Executive Thomas VanStrydonck, Commissoner Crossdale and former Bivona Child Advocacy Center Executive Director Mary Whittier will conduct that review. Whittier said they will look at the effectiveness of the program. "Do we continue that as a county, or do we not?" Whittier said. "If we do, are there improvements to be made? If we don't, then what happens after that and, really then, be able to come back to the community and explain, 'This is what we found.'" Results from that review will be shared in 45 days. Child Protective Services is also conducting their own fatality investigation, which is always prompted by the sudden death of a child.